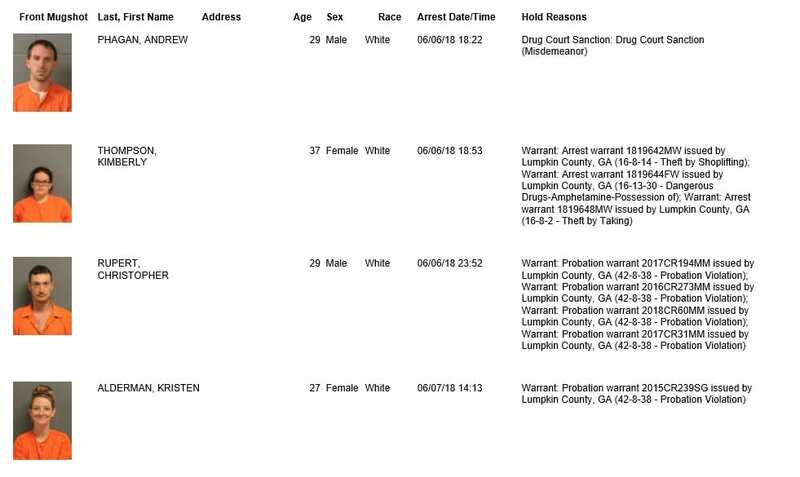 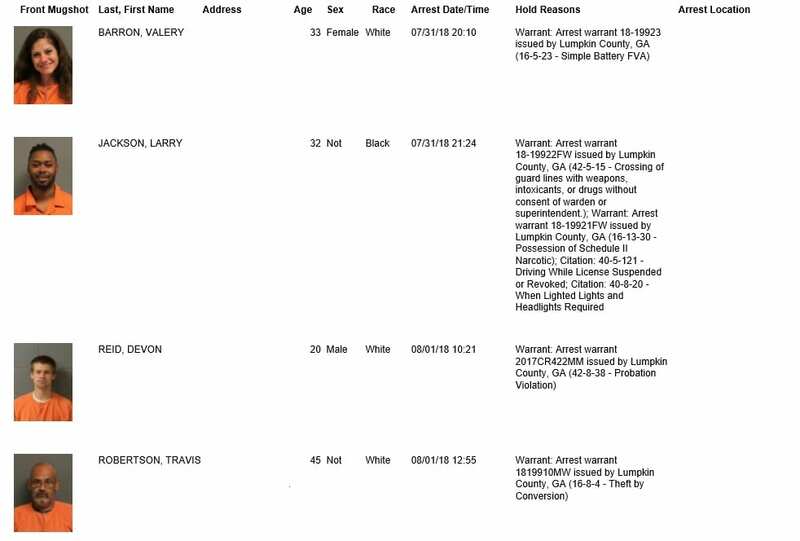 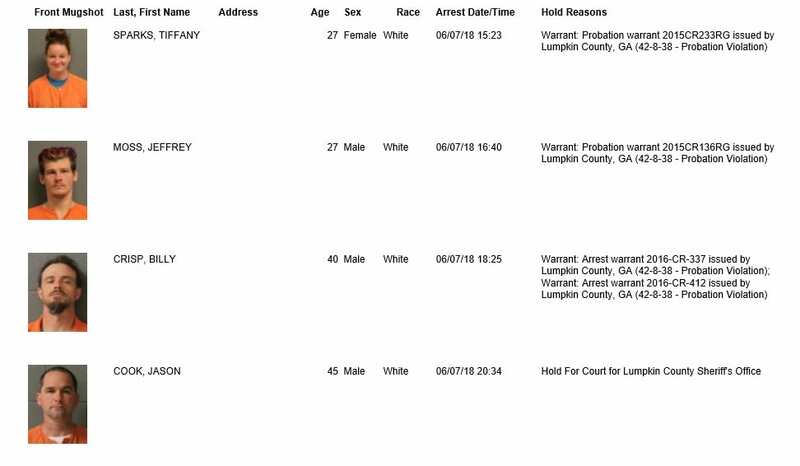 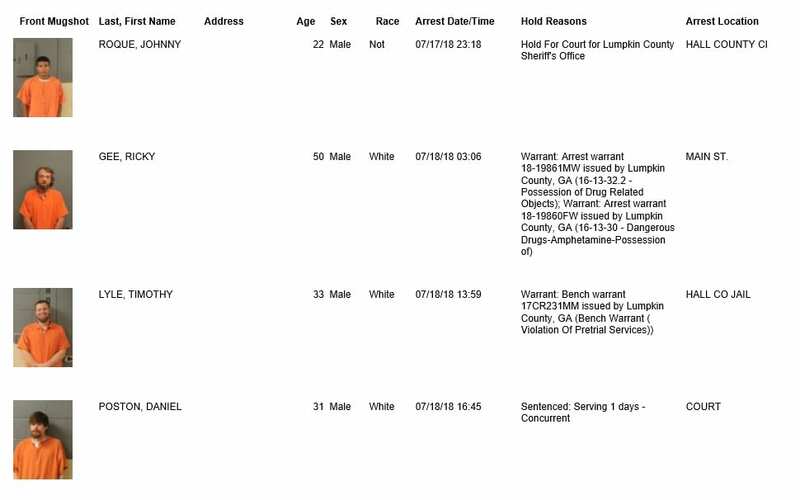 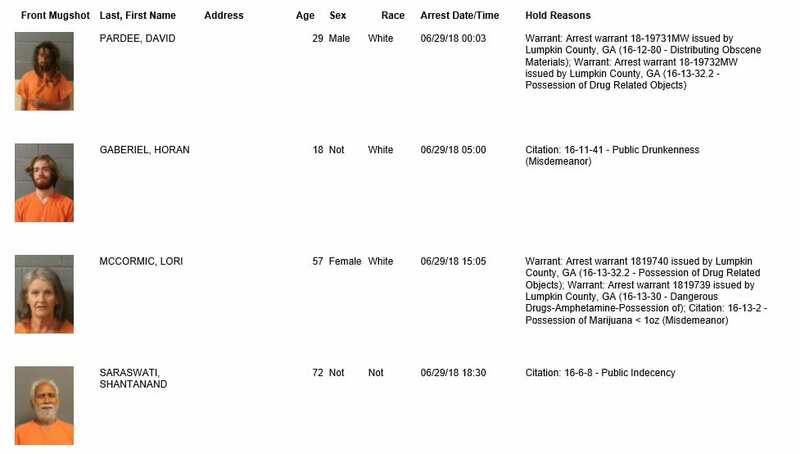 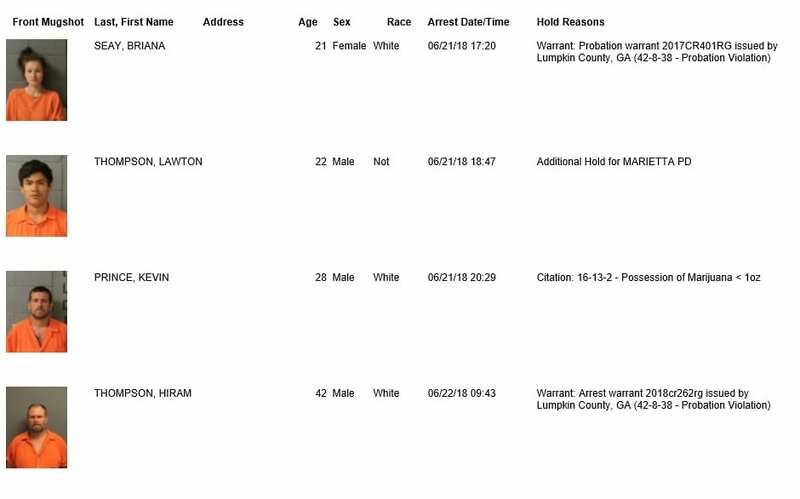 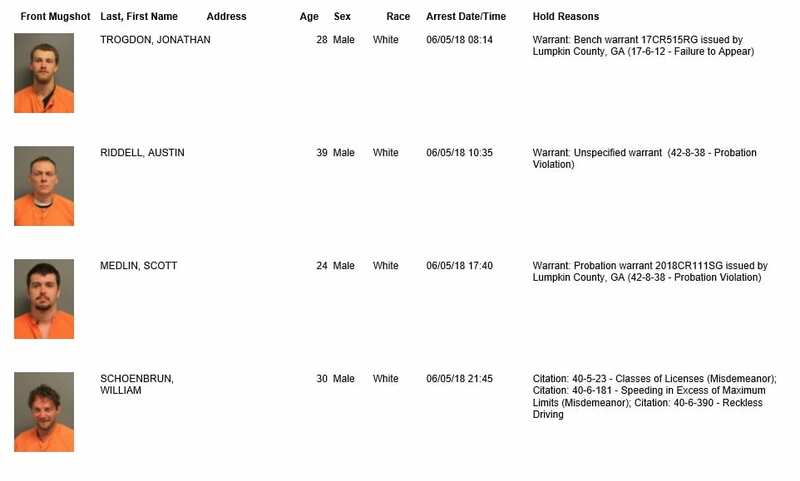 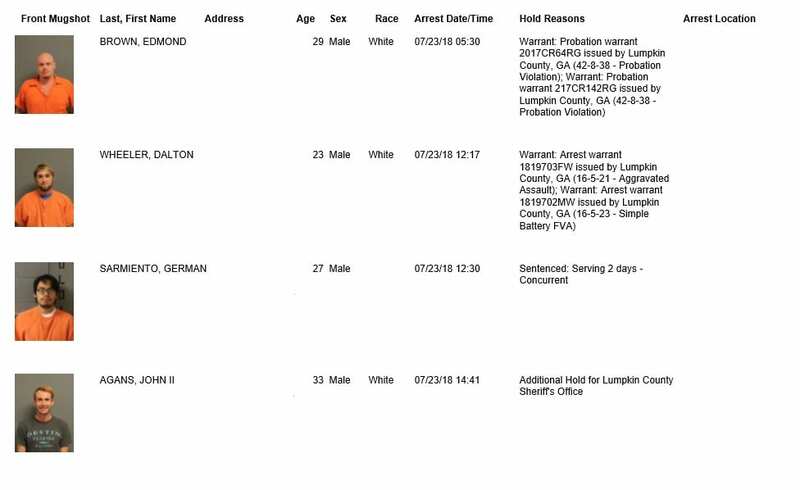 Arrest report and photos provided by the Lumpkin County Sheriff’s Office. 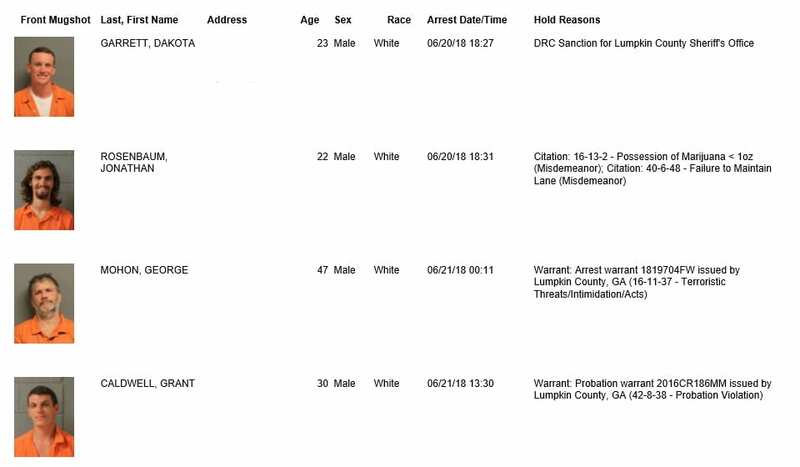 The Georgia Open Records Act (O.C.G.A. 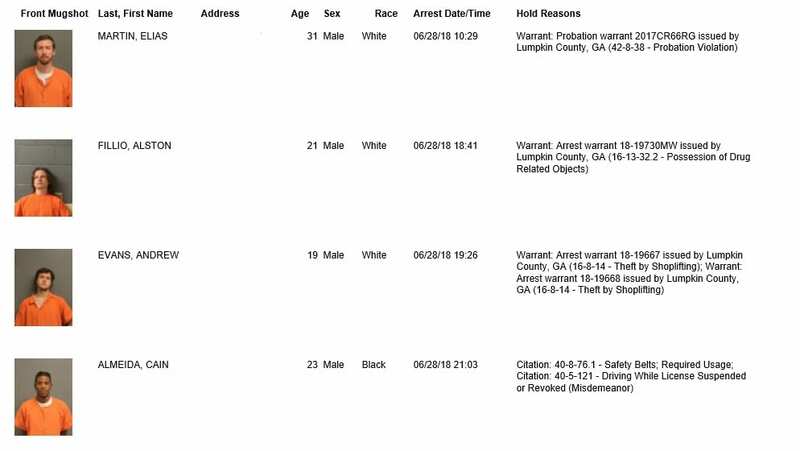 35-01-18) allows for www.fetchyournews.com to obtain and post the arrest records of any and all individuals arrested in Lumpkin County. 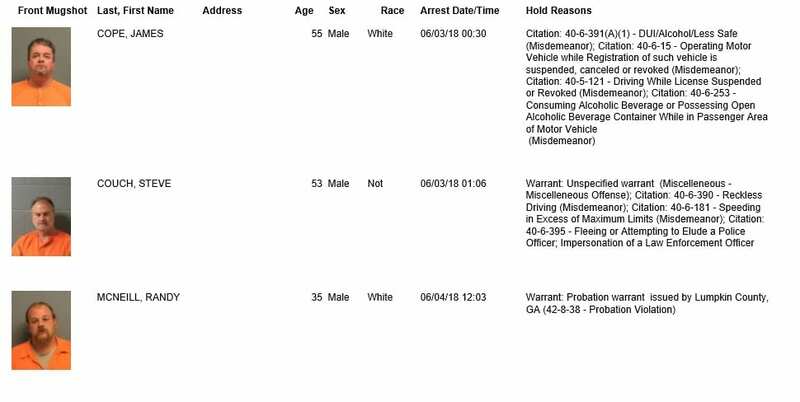 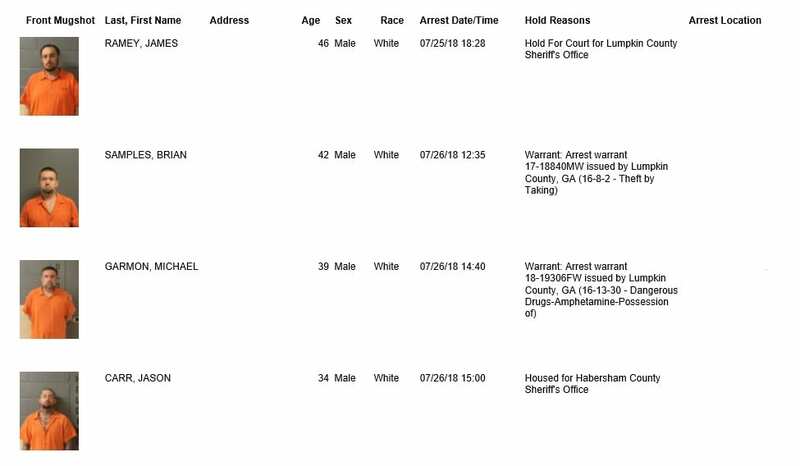 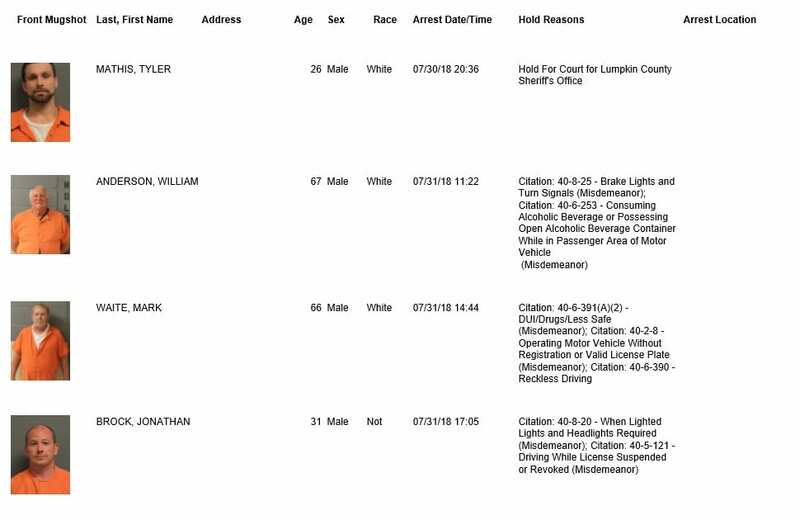 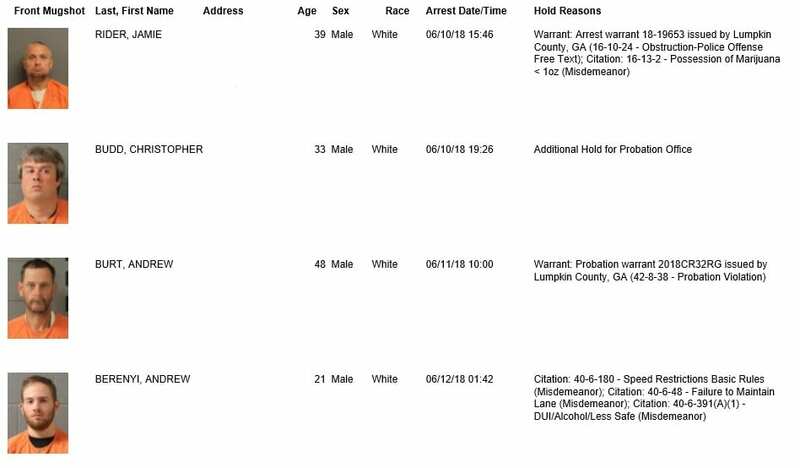 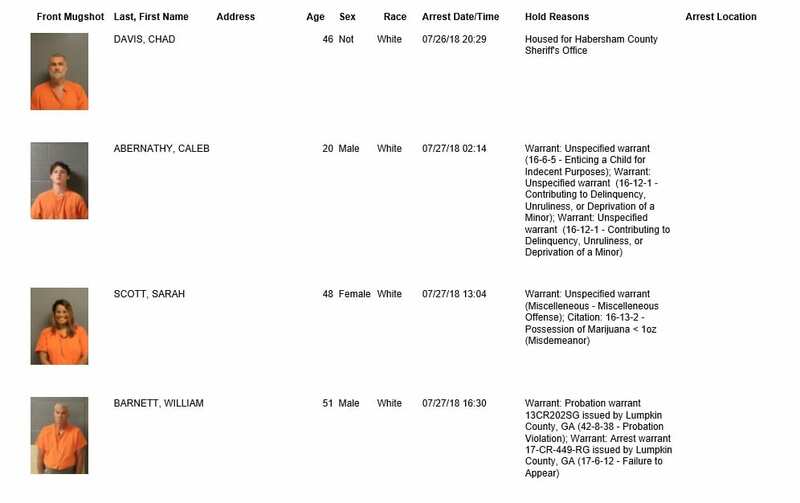 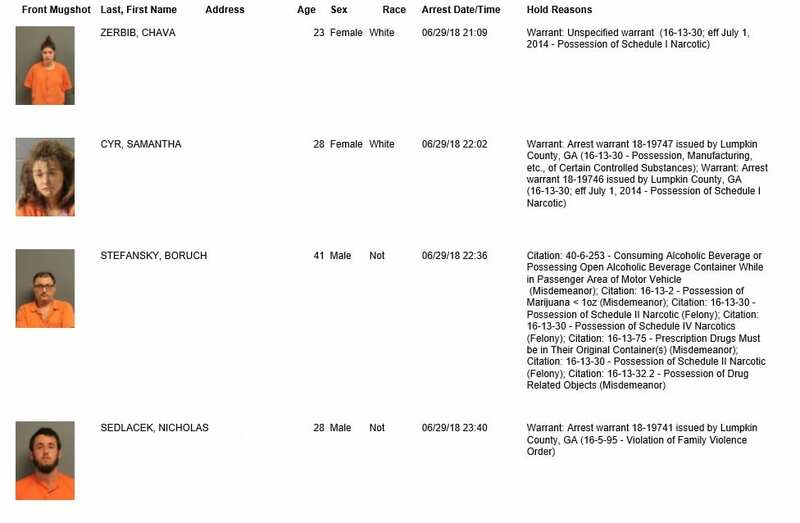 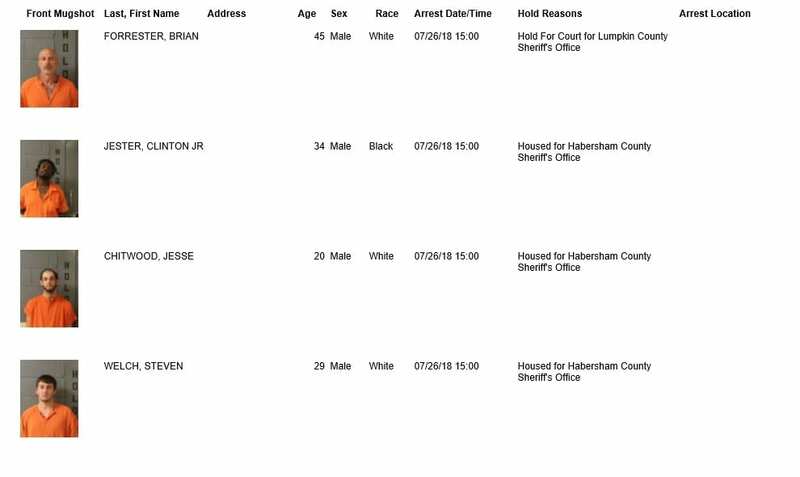 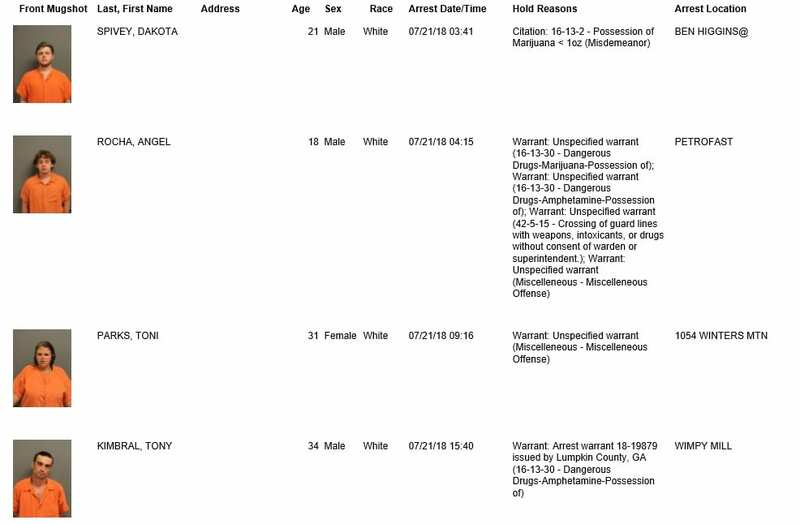 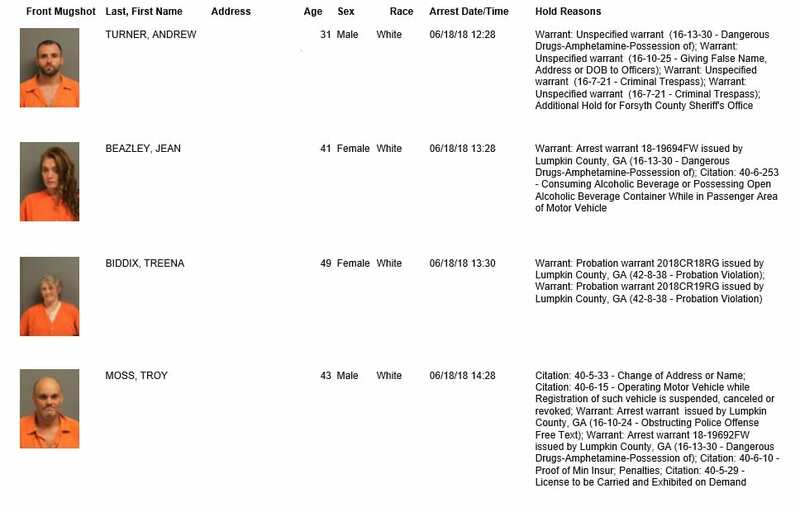 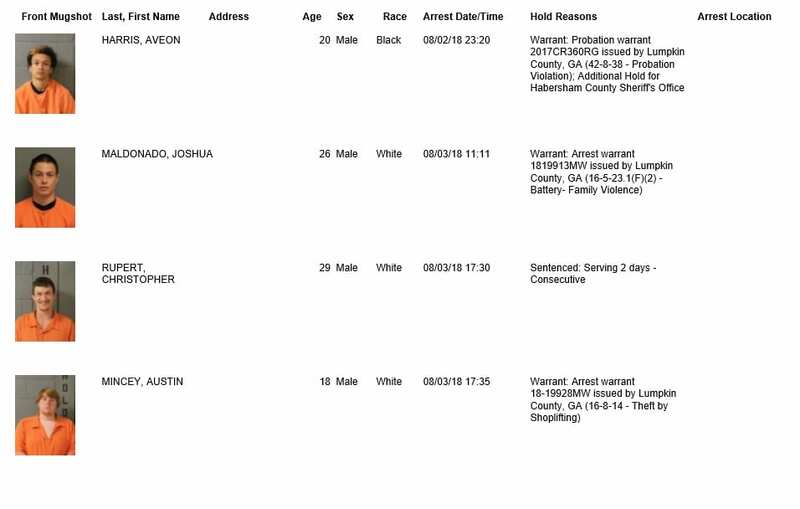 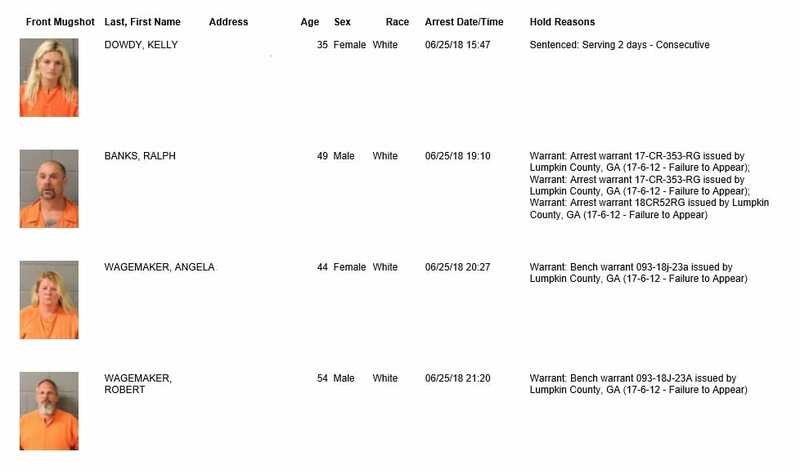 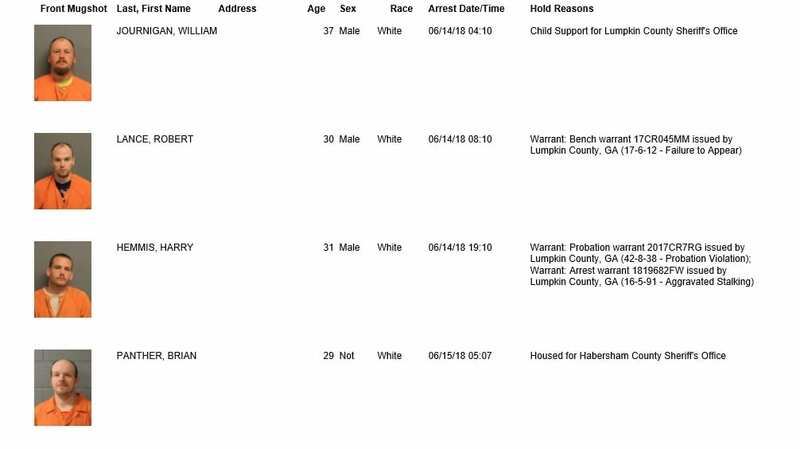 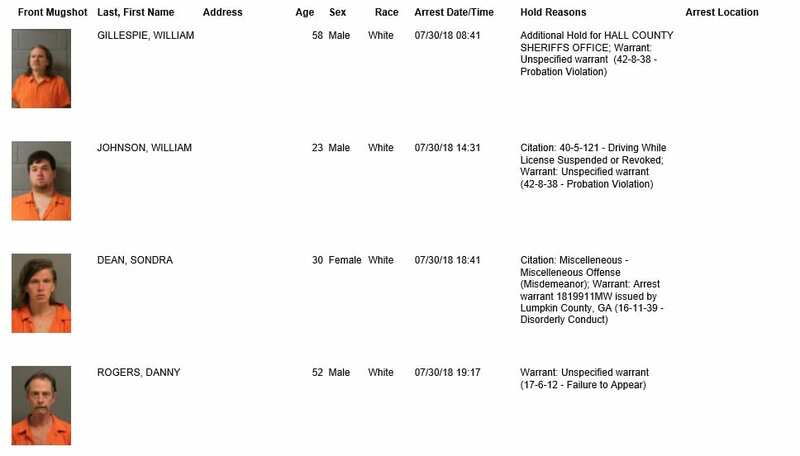 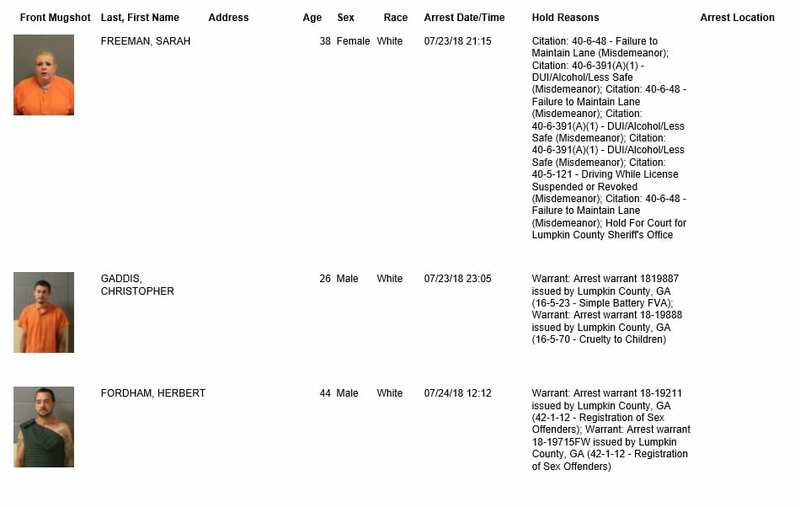 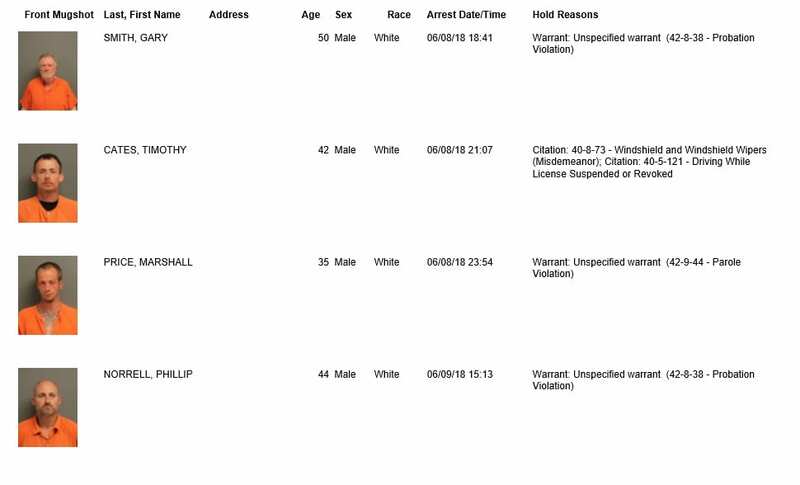 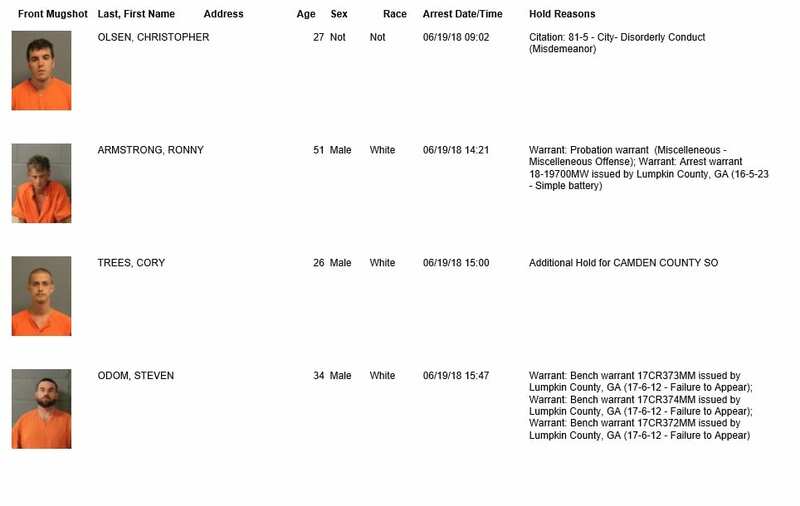 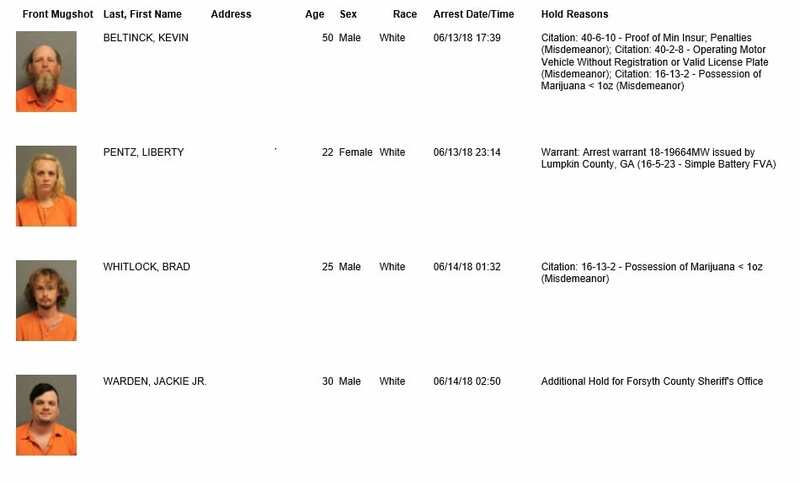 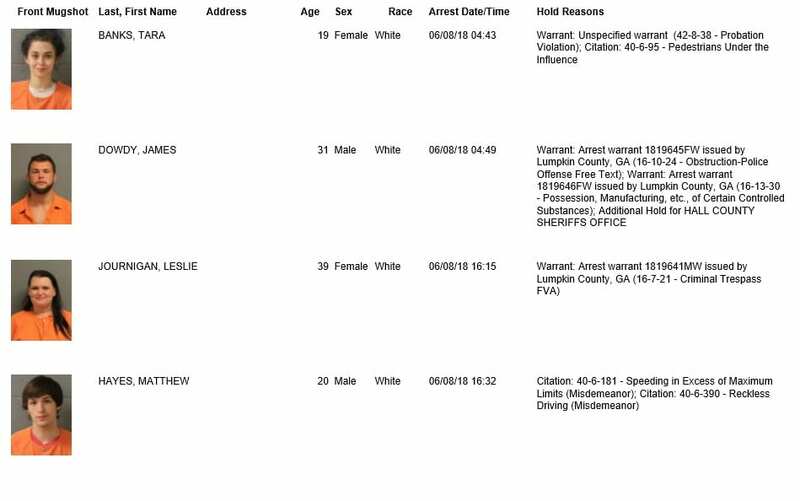 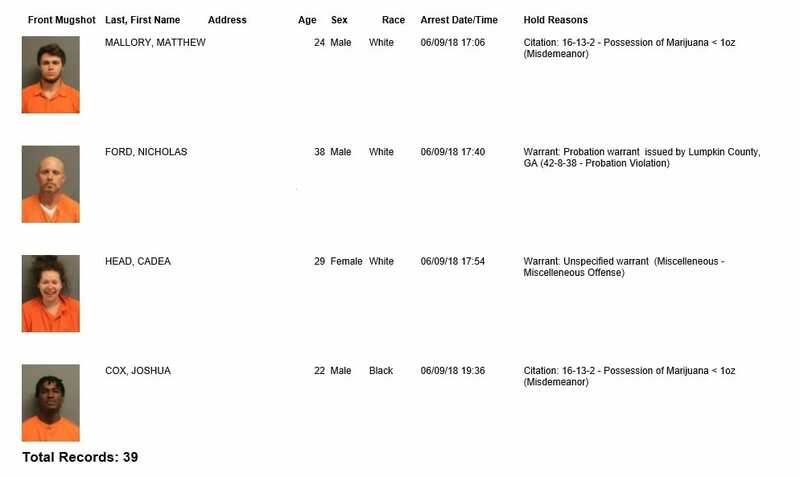 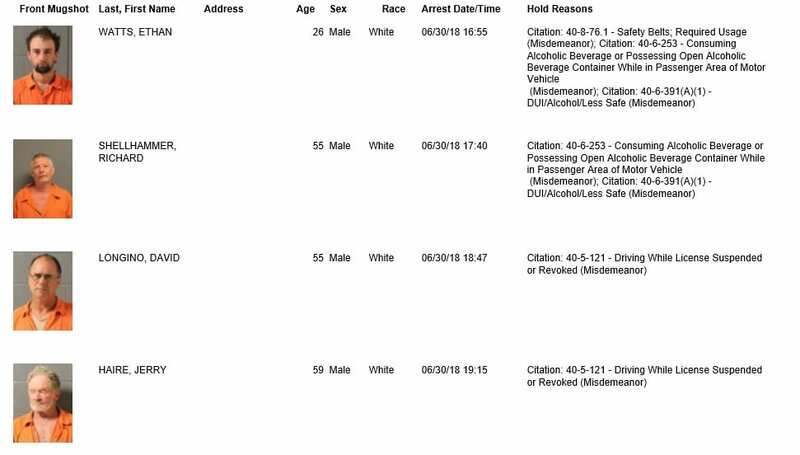 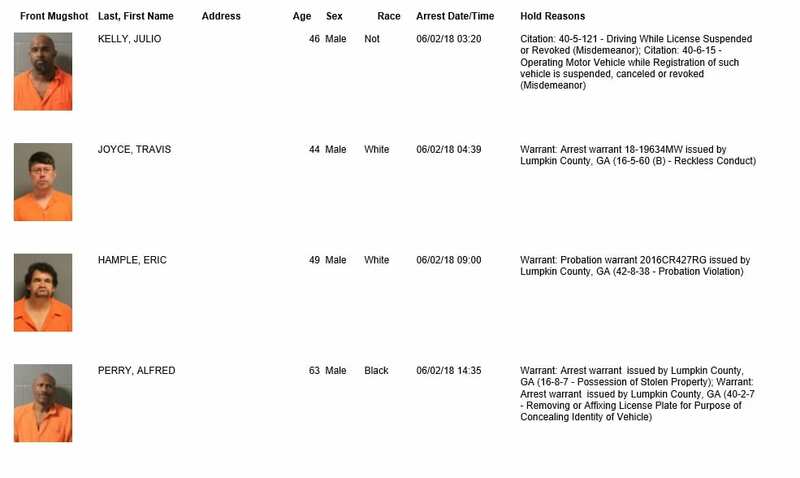 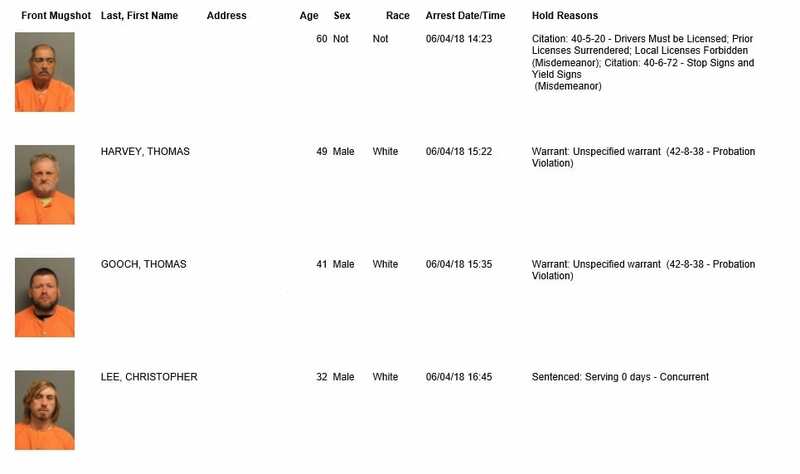 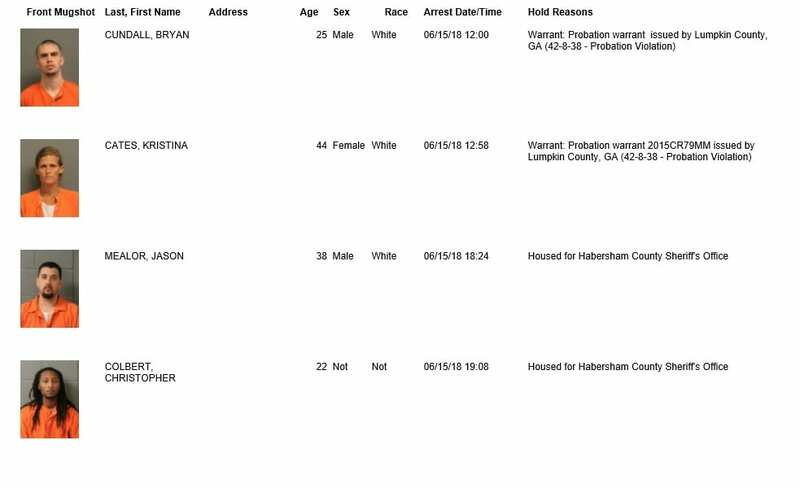 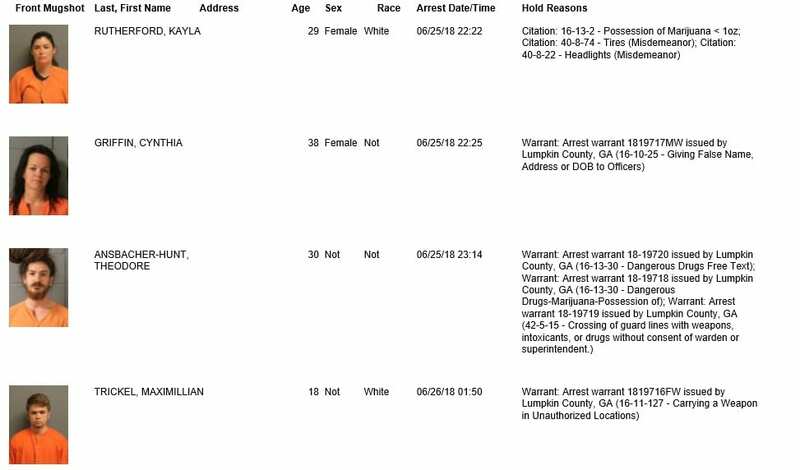 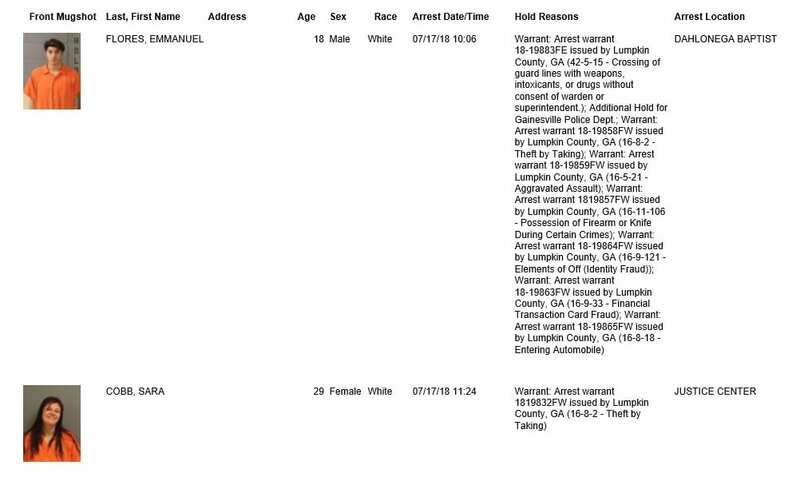 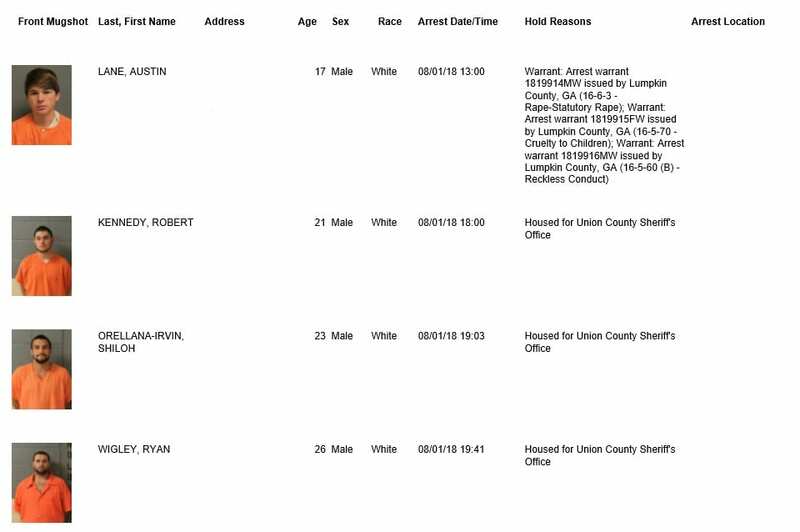 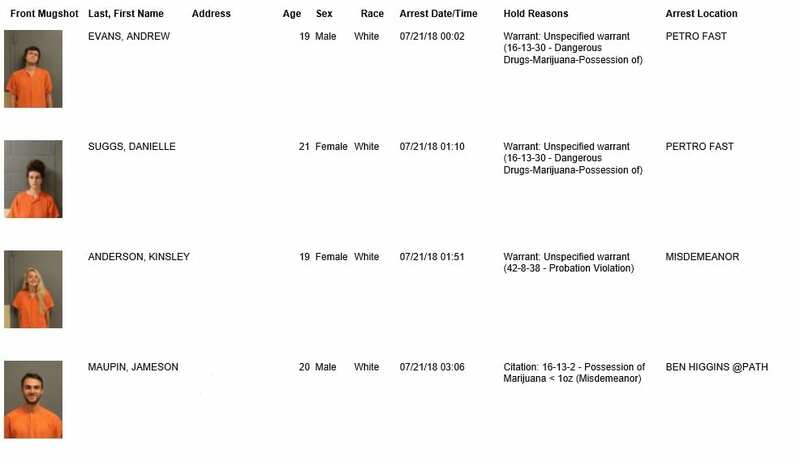 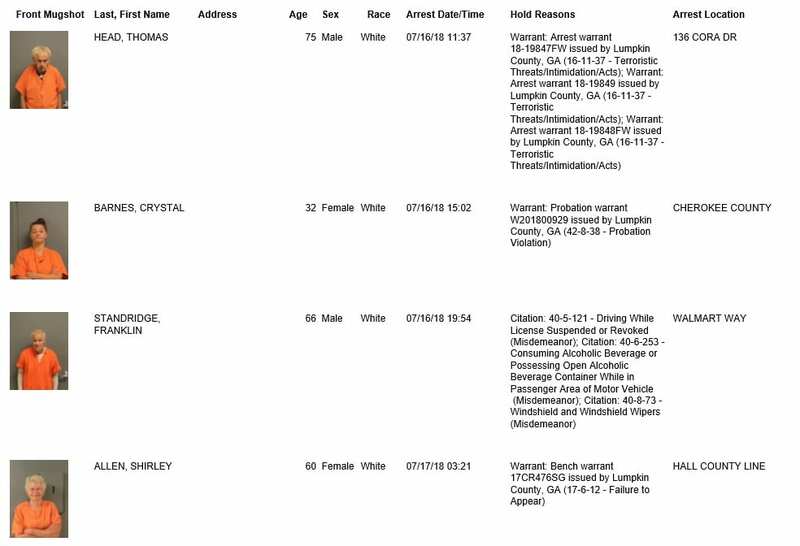 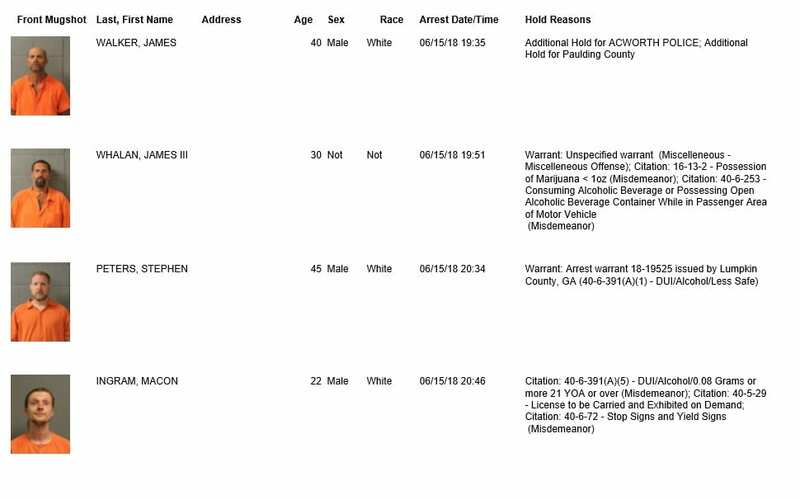 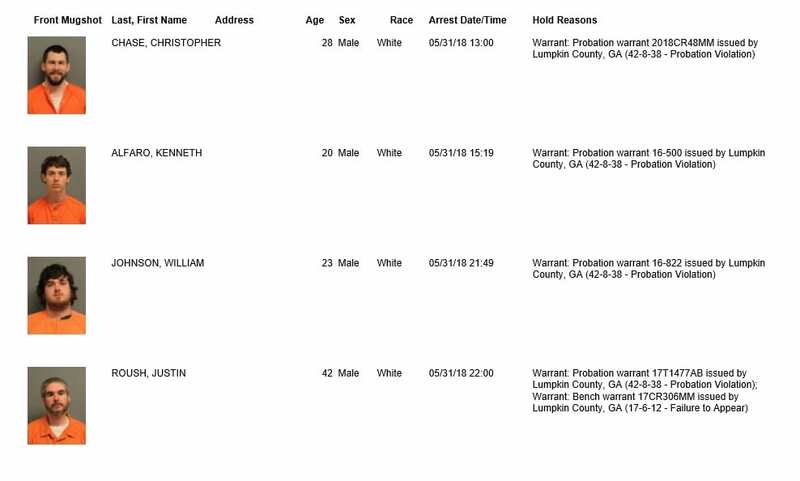 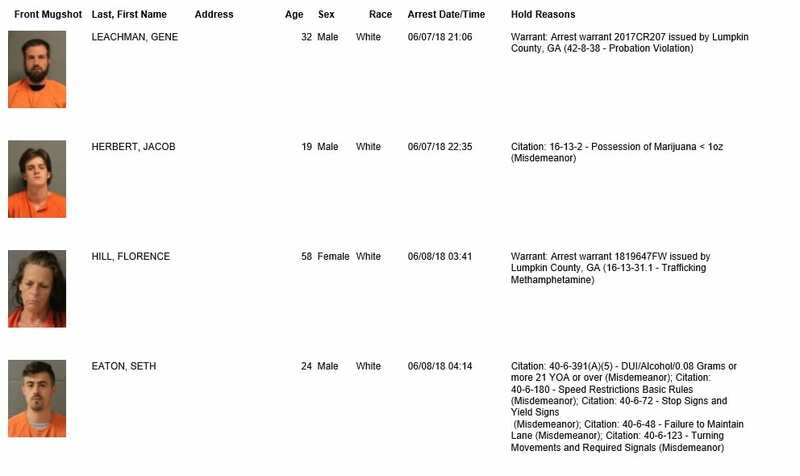 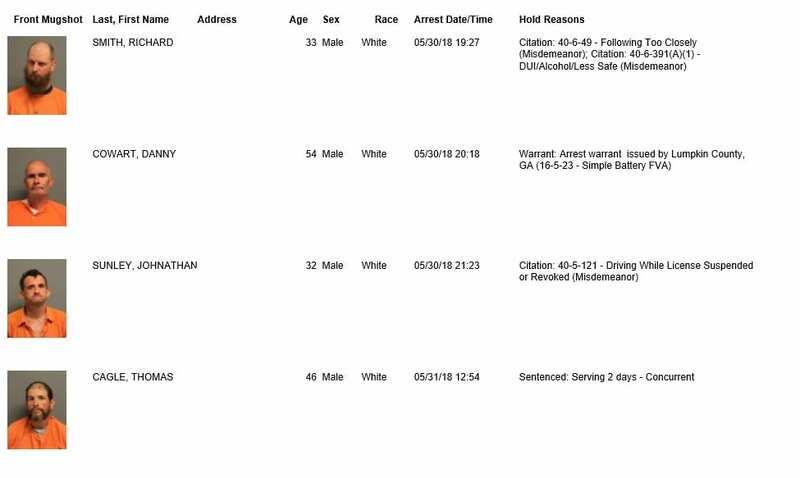 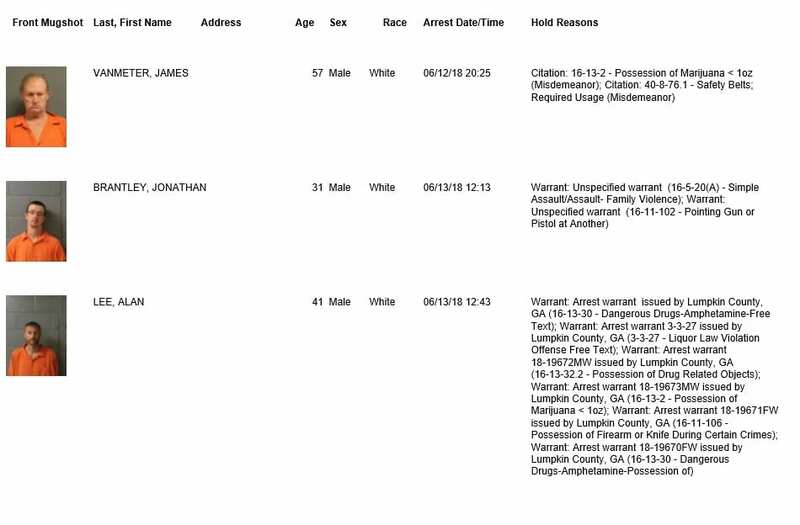 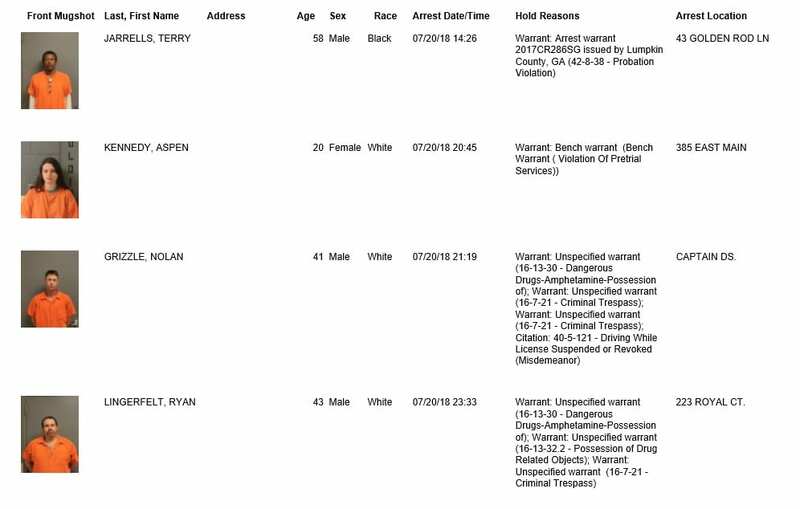 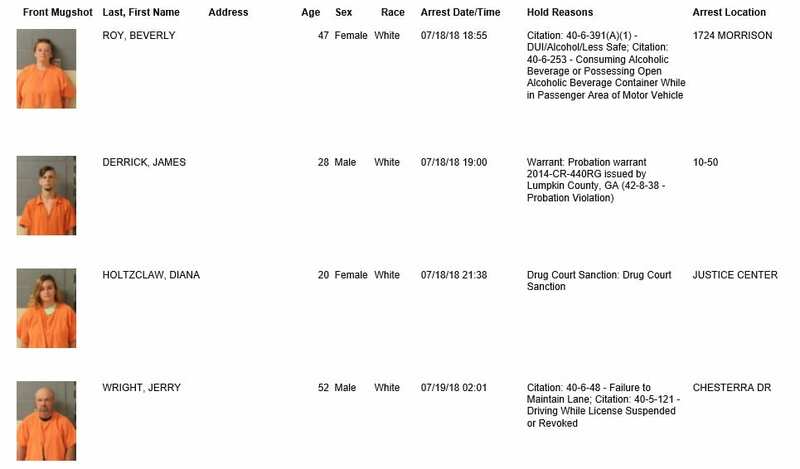 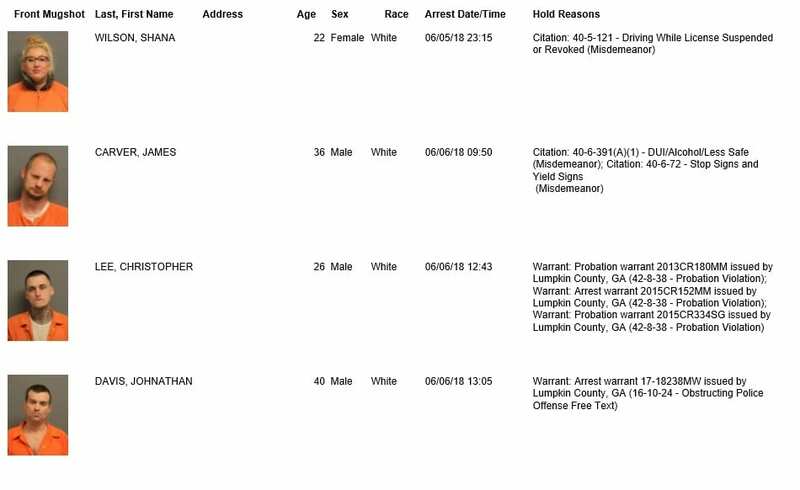 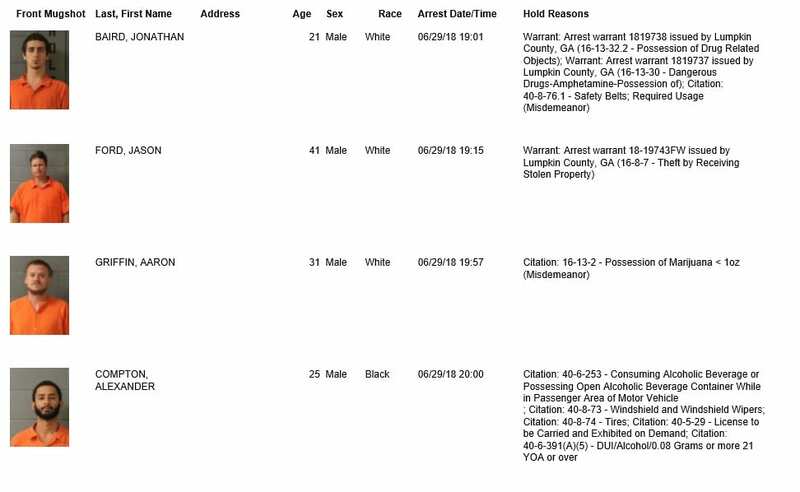 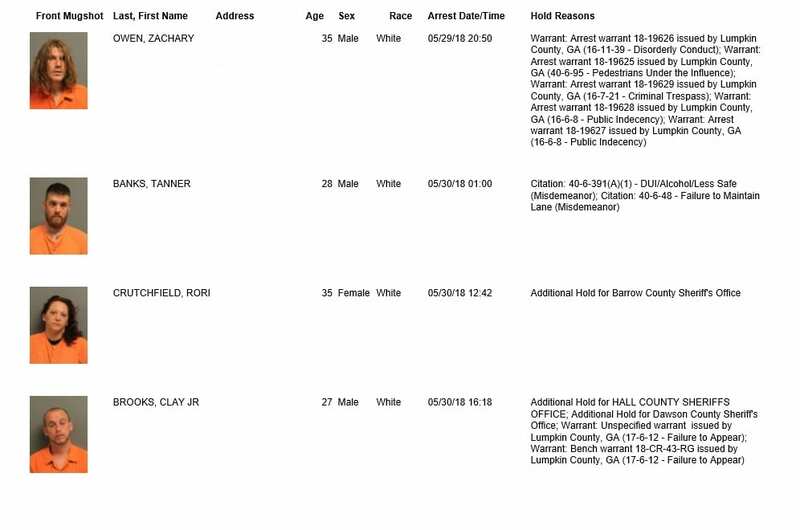 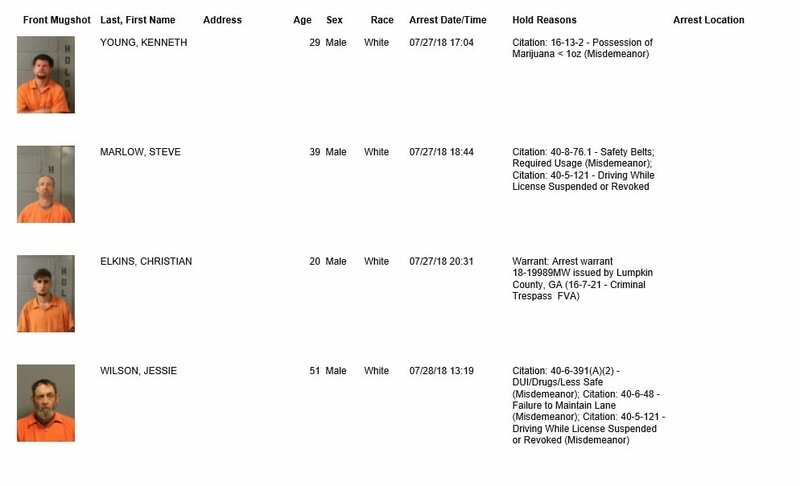 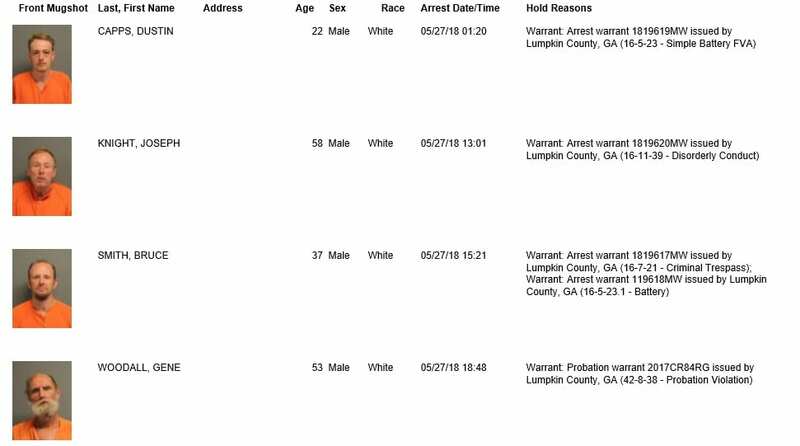 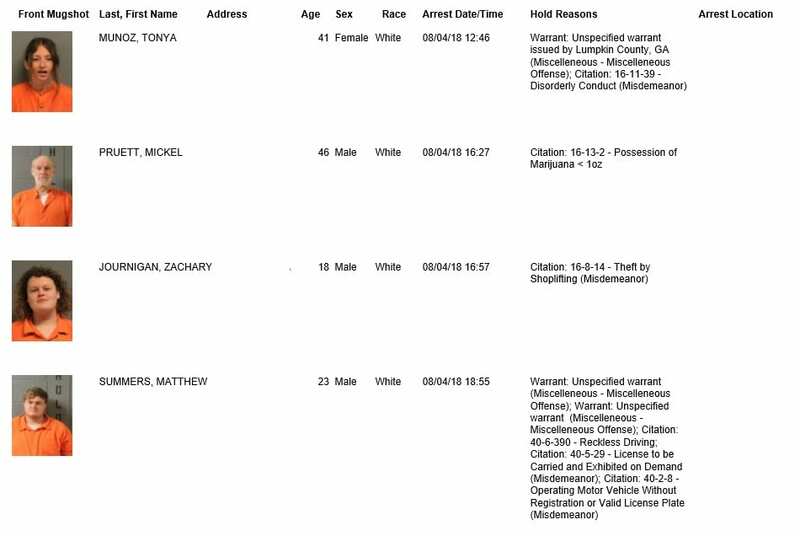 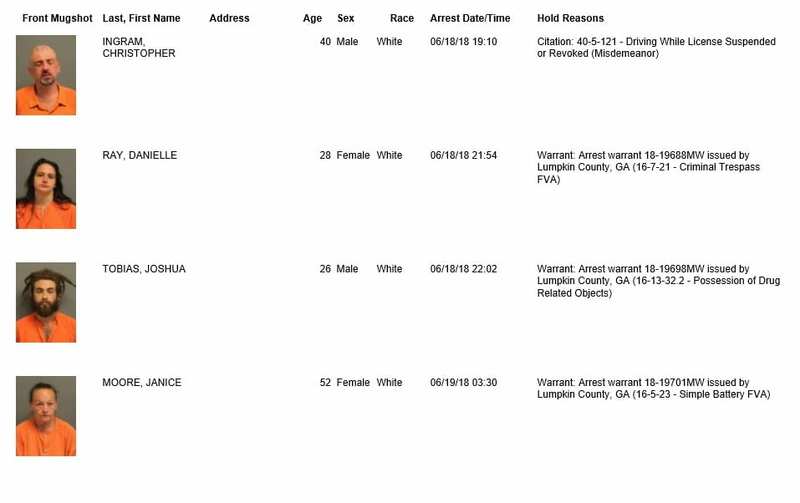 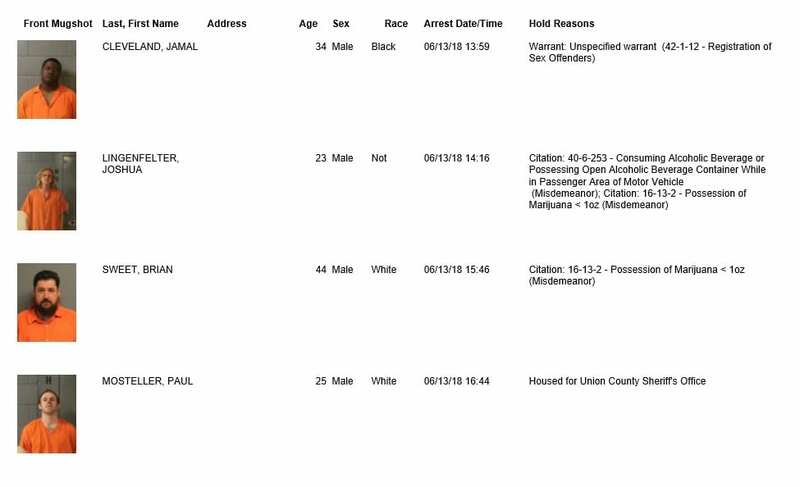 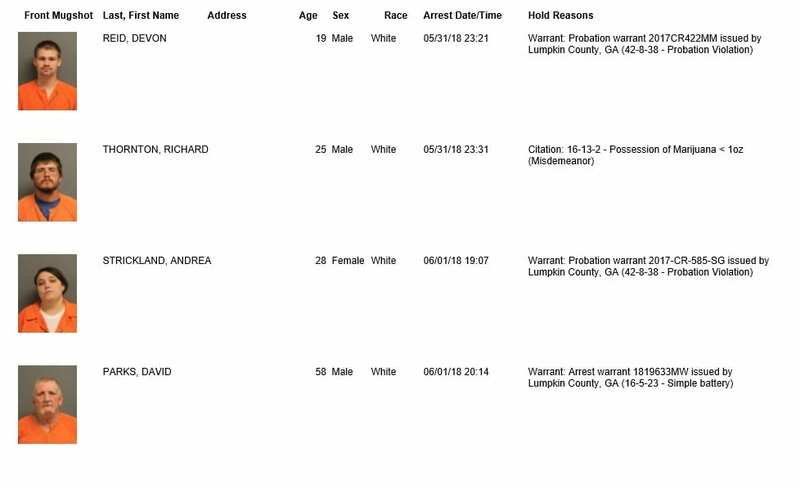 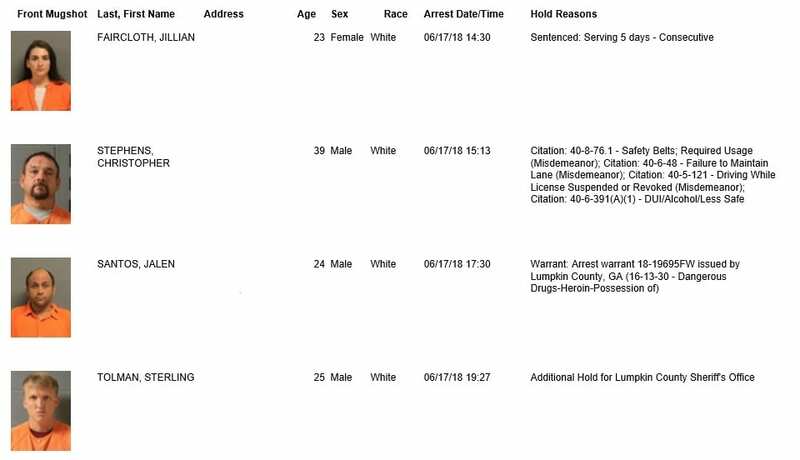 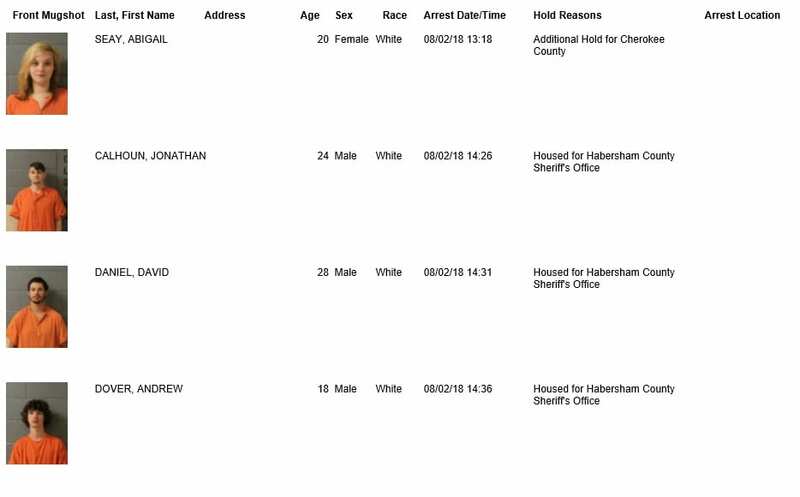 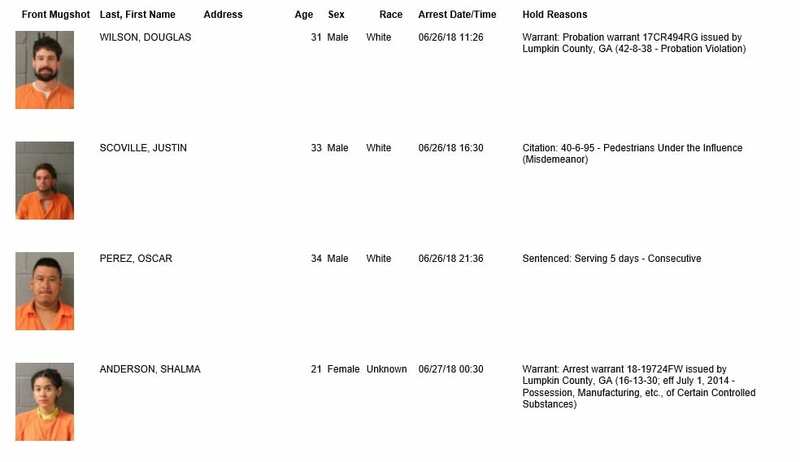 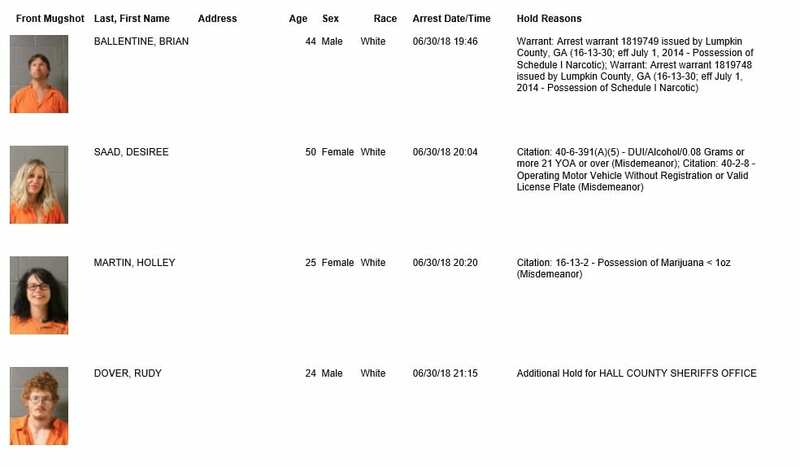 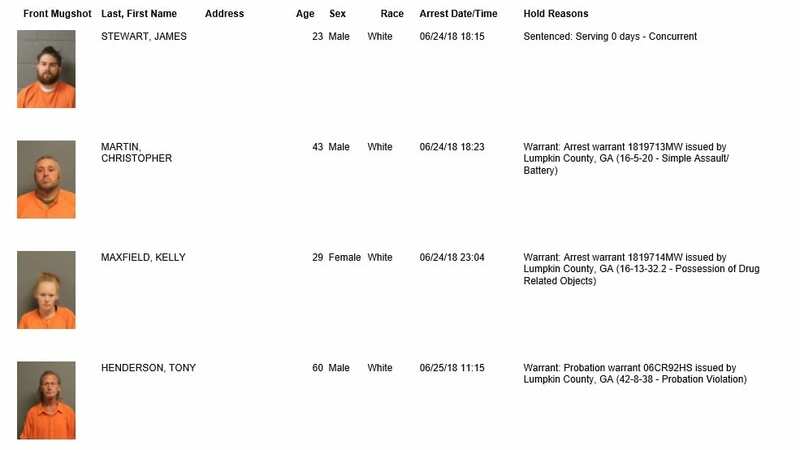 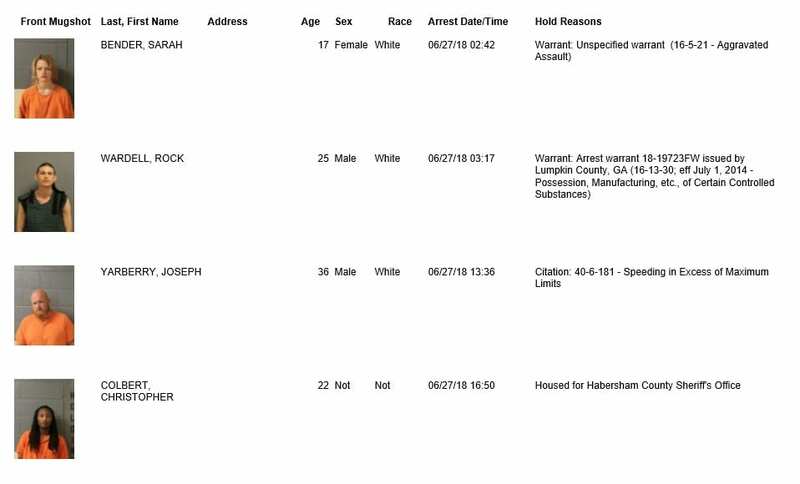 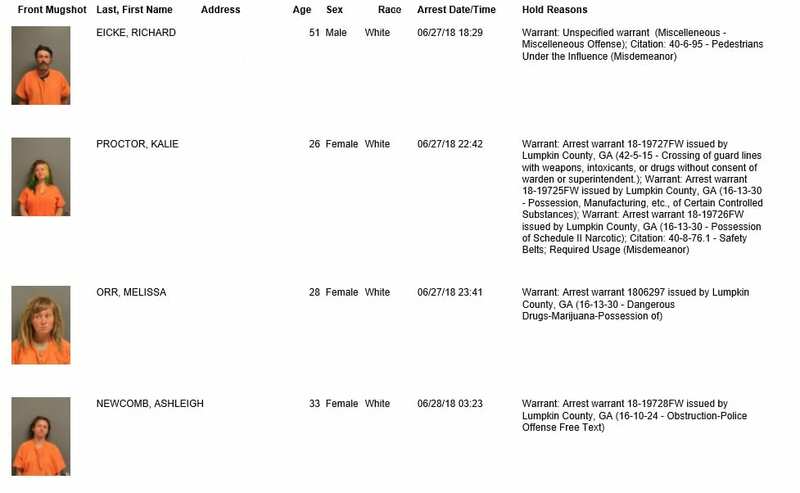 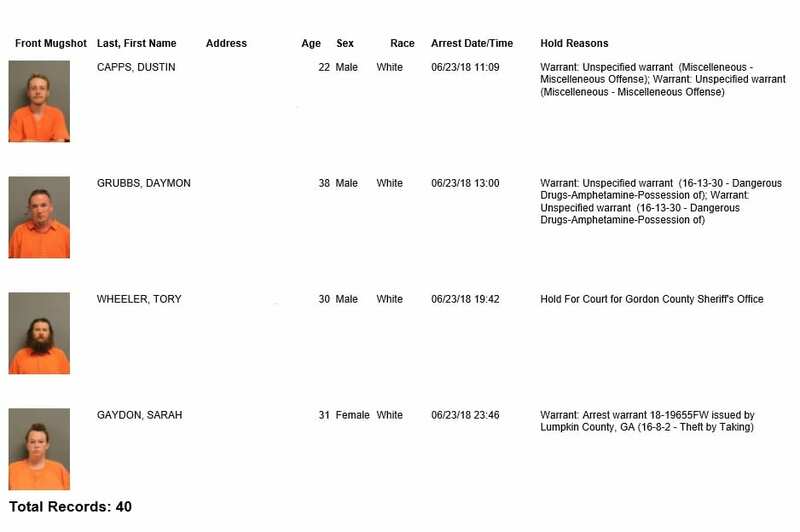 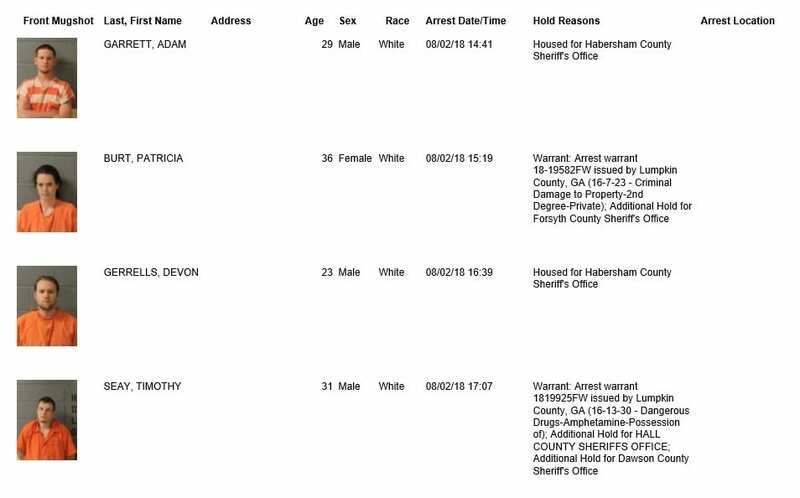 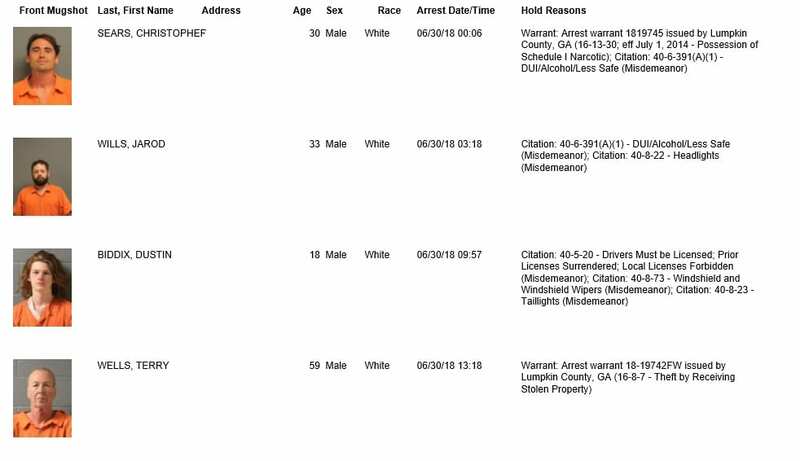 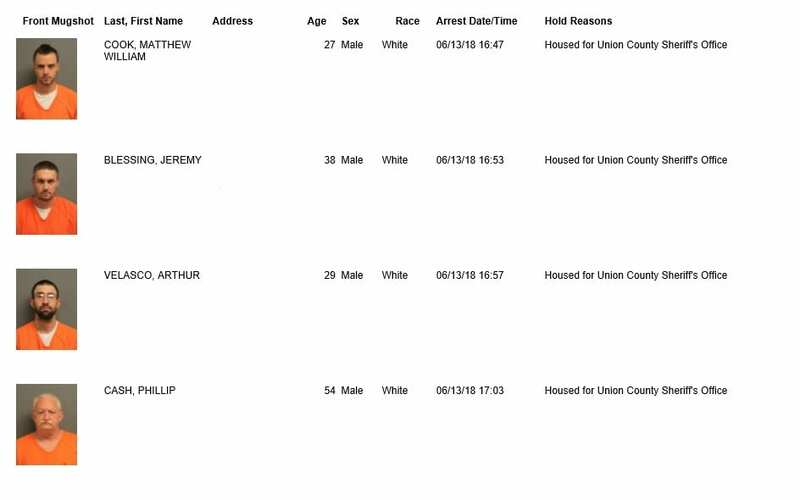 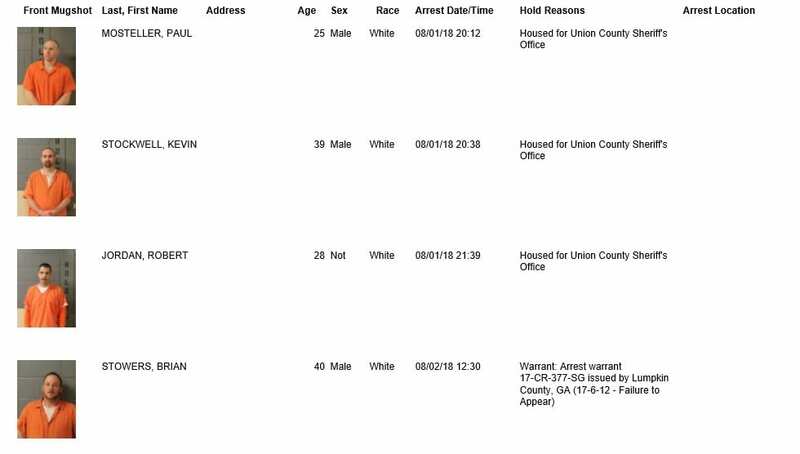 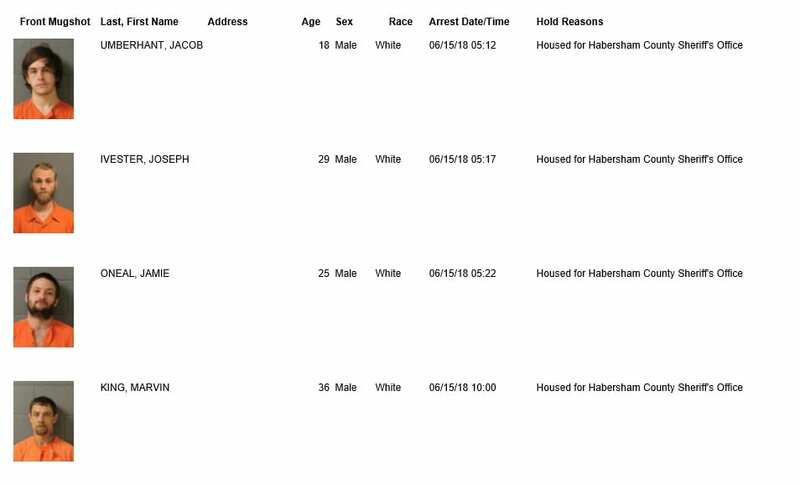 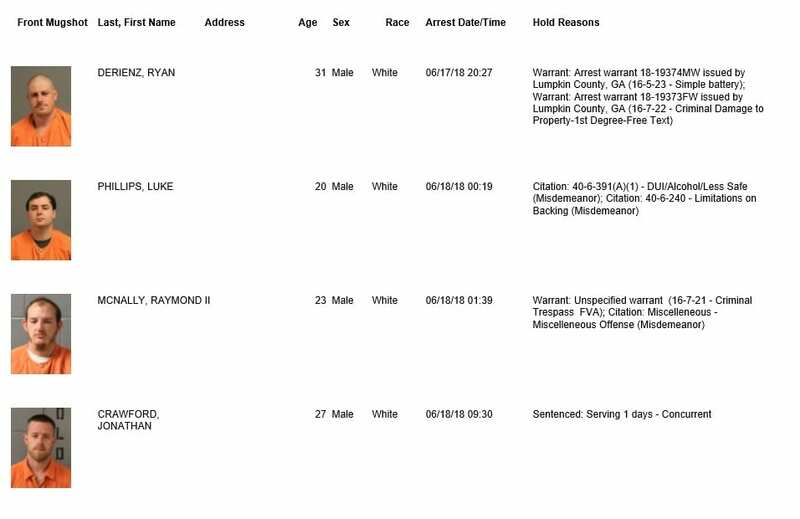 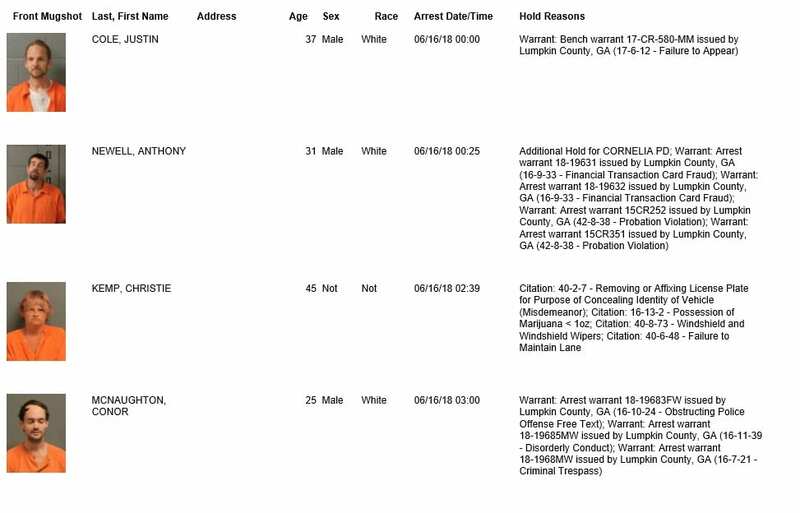 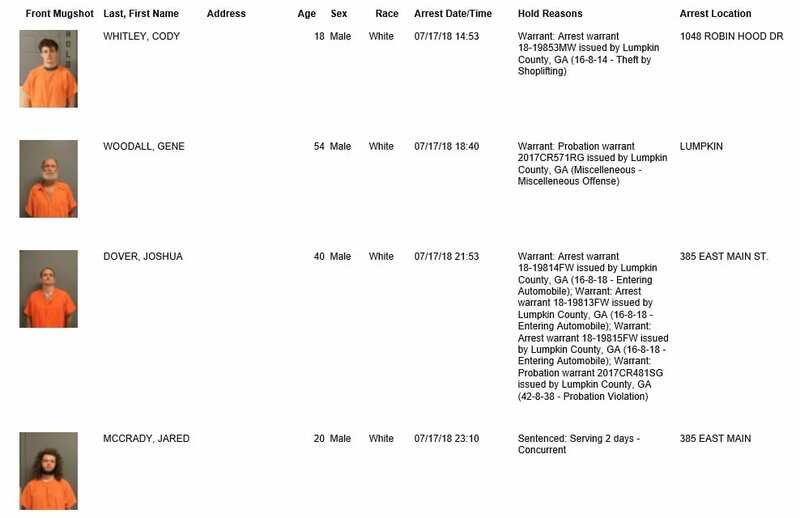 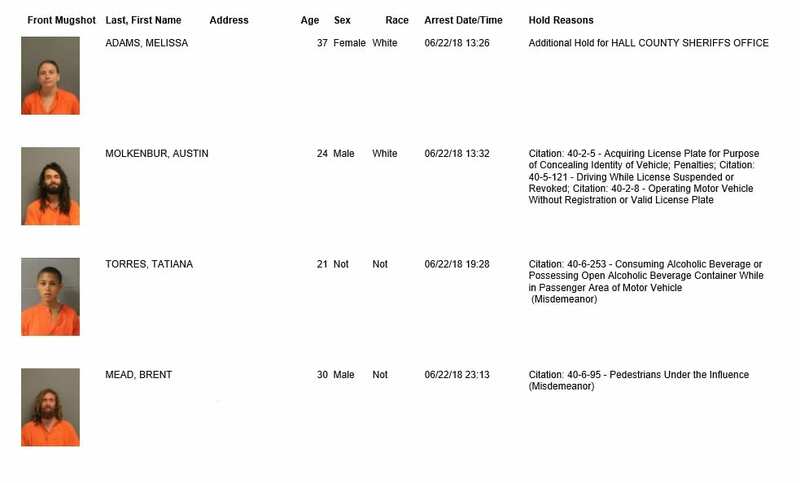 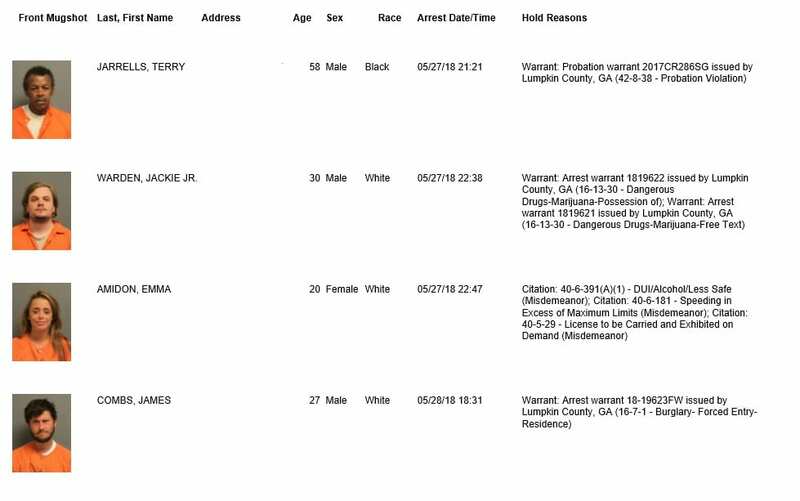 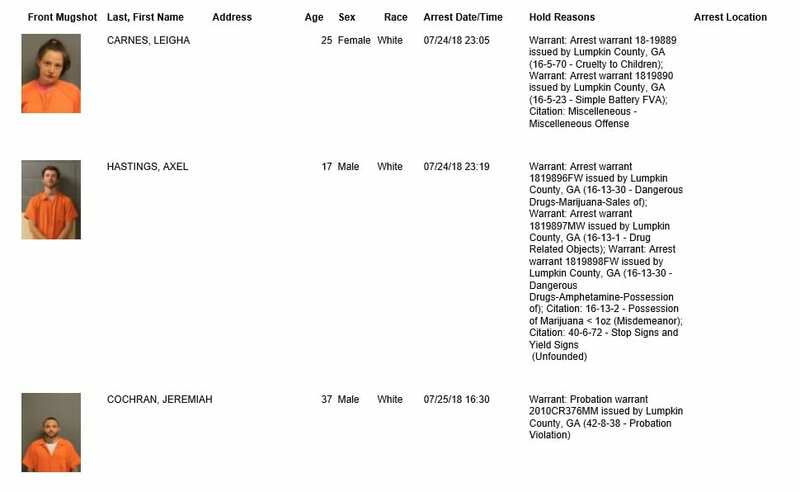 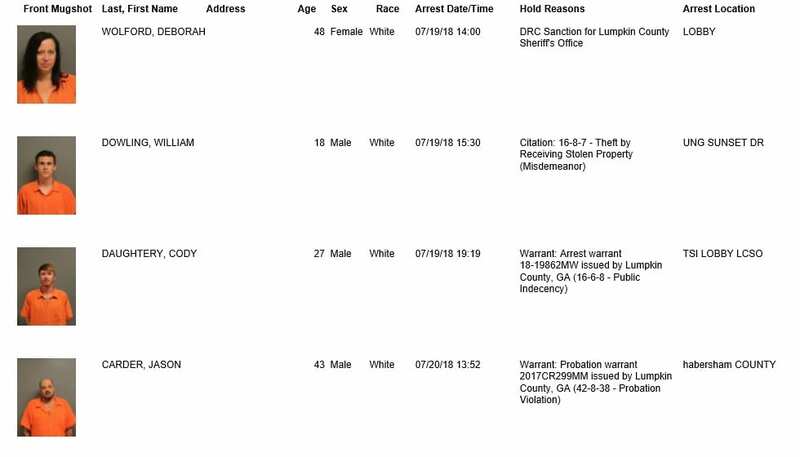 Those arrests are posted on www.fetchyournews.com for viewing pleasure. 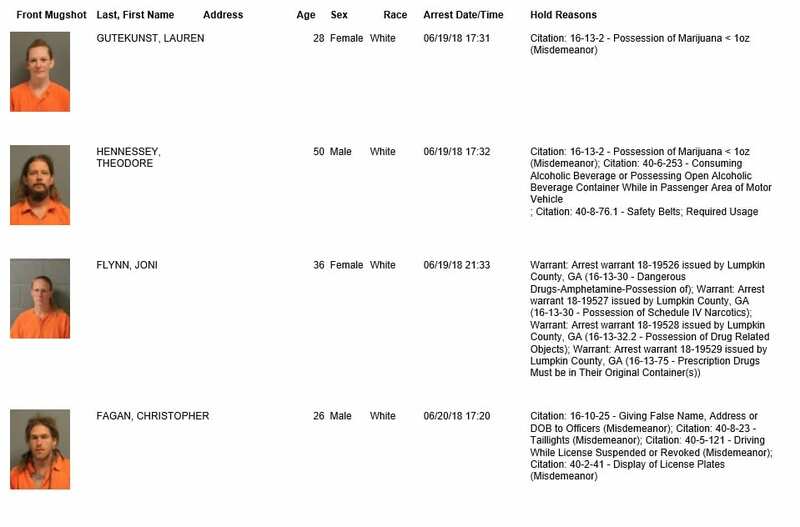 Please remember that all individuals listed have been arrested and charged, however, they are presumed innocent until guilt has been proven in a court of law. 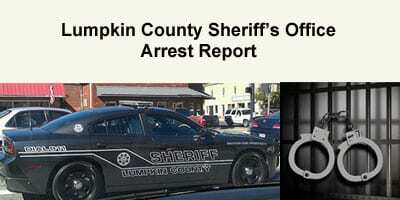 Next Article » Short Takes- Big Government, What Is It?